Tweet Demetri Martin returns to Comedy Central for his second one-hour long special titled, "Demetri Martin. Standup Comedian." The special will feature Martin's characteristic humor, which consists of sharp one-liners and short stories. Oh, and let's not forget the trademark easel. "I don't really go that far from the building block of my jokes. The easel might be 15 or 20 jokes. I do some drawings in the special and play my guitar toward the end of the special. I don't have any friends coming out on stage like I did on my first special," Martin said. The "Taking Woodstock" star also strays a bit from what added to his popularity amongst fans -- his drawings. "In the last special, I had a section where I did a bunch of drawings that I did with crayons or colored pencils, so I don't really have a whole section of that. I have some bumpers where you'd see a quick drawing come onto the screen, but that's just going to commercial (laughs). The short answer is it's just pared down; it's a simpler version of what I do," Martin said. Even though this is Martin's second one-hour long special on Comedy Central, the New York native has a long history with the comedy network. Fans may remember him as a correspondent on "The Daily Show with Jon Stewart," whose host draws eerie similarities to another late night great, Johnny Carson. "I think 'The Tonight Show with Johnny Carson' was THE show in a very different landscape. That was the way in. I don't know if there were very many ways. Now, there are so many late night shows, people have blogs, podcasts, Twitter feed, so I think "The Daily Show" with Jon... he's done such an amazing job of distinguishing himself and focusing on relevance," Martin said. Martin added that what "The Daily Show" does is relevant to what's going on today: "He (Stewart) goes into the heart of things. He's also a news source for a lot of people now. So I think content wise, it's very different than Johnny Carson, but the show does seem to launch a lot of careers, and in that way, it's very similar to Carson," Martin said. Martin was also given his own show, "Important Things With Demetri Martin," by the network, which ran for two seasons. "I'm always excited to try something I haven't done. I never set out to do a sketch show. I had a lot of friends that were in sketch comedy where my interest was stand-up. 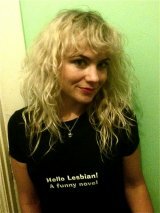 When I got the opportunity to do a sketch show, I was like, 'Great, I'm going to try this.' It wasn't really a plan for me, but it was definitely a learning experience," Martin said. The comedian would like to get back on television, and like his Comedy Central show, would want to do something completely different. "A sitcom would be fun, if I could figure out one (laughs). I think what I probably won't do is a show in which I play myself. I didn't enjoy my show trying to be myself. If I were playing a character, using your name as you, for me, I'd feel more comfortable not doing it that way if I got to do TV again. But we'll see." 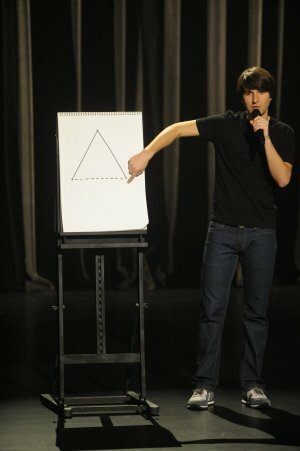 "Demetri Martin. Standup Comedian" premieres Saturday, 9/29 on Comedy Central. Fans can get the special on DVD and CD, which also includes a special edition T-shirt and signed print, on his website.